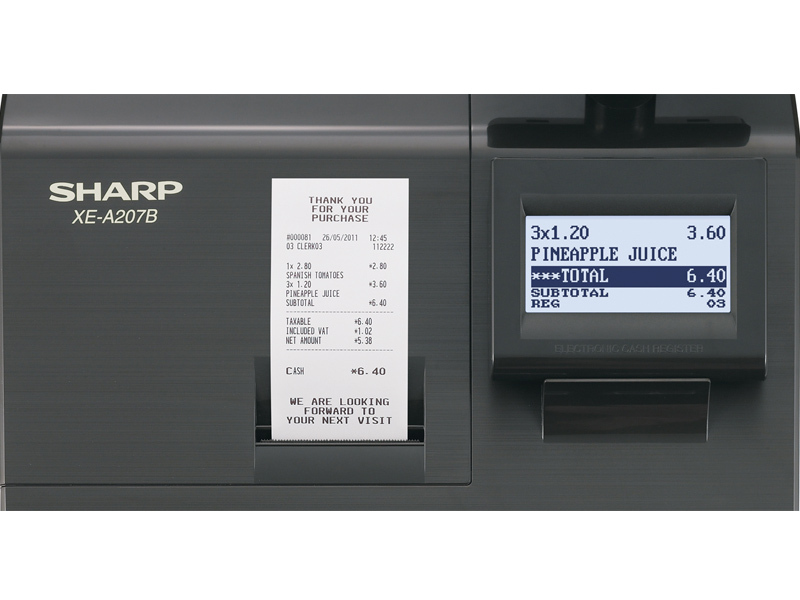 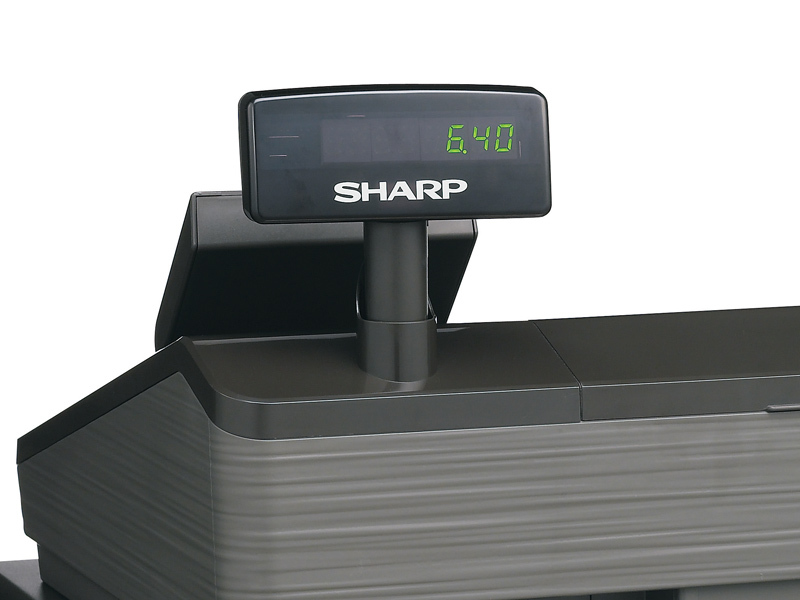 The Sharp XEA207 is our mid level Sharp register. 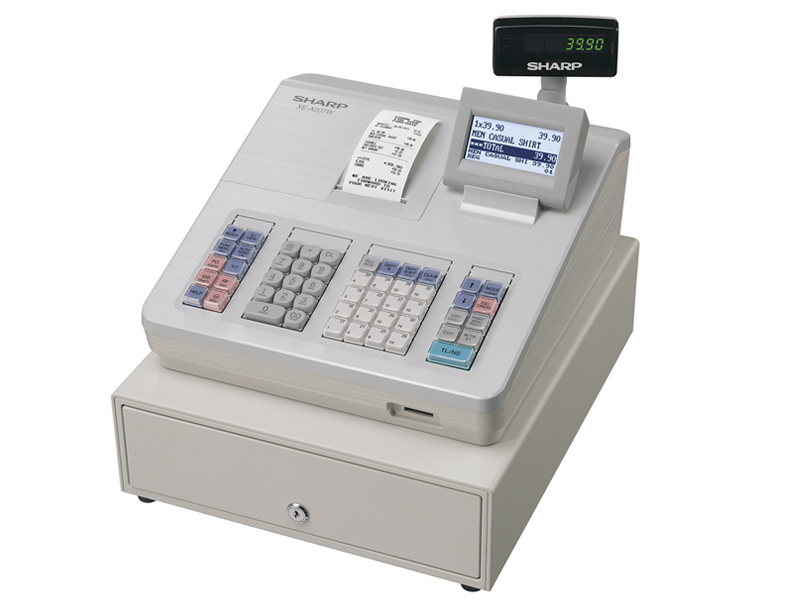 It is available in black or white and is a larger size than the XEA107. 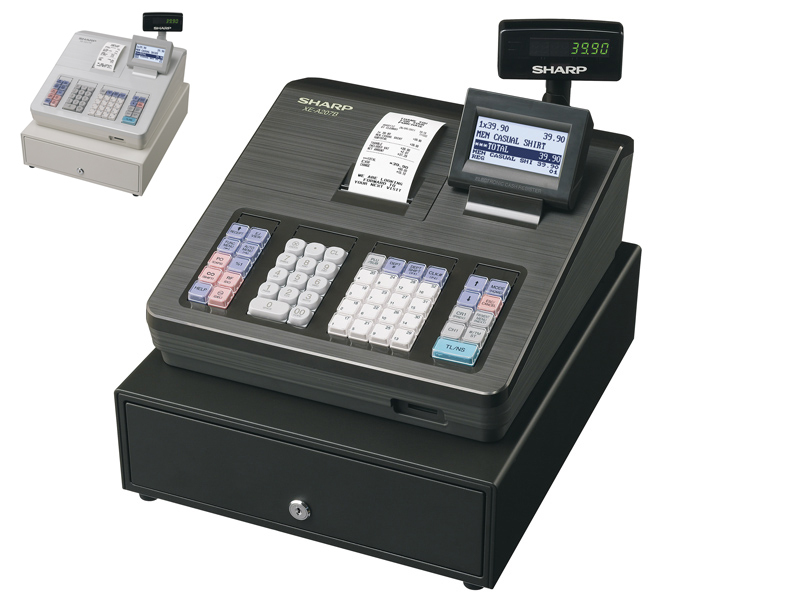 It has 16 departments, programmable receipt header, larger screens and lockable cash drawer.